Toad? Is that you, pretending to be Strawberry Shortcake? Relm, what are you thinking? I like her colors, but those bottoms are a little diaper-y. Setzer is a lot of coat and hair and black and gold, but nothing is really standing out. I was thinking those pants were less diaper-y and more MC Hammer-y. And as an Oakland native, I will never naysay the hammer pants. That headgear though? Yikes. I like Setzer’s coat and his puffy shirt. This girl couldn’t look more different in each variation: she’s obviously wearing an oversized red bow in sprite-form, but randomly has a gypsy scarf-hat on in her portrait? Also not sure where the hammer pants came from in the chibi shot, but they’re terrible. There’s not even a leg separation, it’s just a giant pant-bulb. Setzer has always been one of the best-dressed FFVI characters; love the oversized coat with the popped collar and the long, devil-may-care hair. He pulls it off. On second glance, I really like Setzer’s silvery white hair, especially with the sort of Jack Sparrow hair beads shown in the headshot closeup. (I might be seeing things?) The long coat and white hair remind me a little of Dante from Devil May Cry. Relm…Jillian used the perfect word. Bulb. You know what she kind of looks like with the bulbous hat and pants? A human hourglass. Wait, I thought hourglass figures were supposed to be appealing? I guess it just gets weird on children. I do think Setzer’s hair could use a little managing. It’s wild style conflicts with his otherwise controlled dress. But the “hourglass” portion is supposed to be elsewhere, not your head and knees. There also appears to be a random hole in the top of her hat to let one wisp of hair out for no reason. I think Setzer needs the wild hair or else he’ll look too put-together. 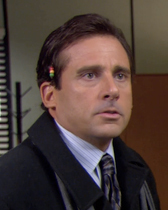 I hadn’t noticed the Jack Sparrow beads before Erin mentioned them, but those actually lose points for me: too Michael Scott just back from Jamaica.